The Lovers is among the 11 trumps from the 22 major arcana that symbolize the various stages of the human condition, with the Pope, the Papess, the Emperor, the Empress, the Mountebank, the Fool, the Devil, the Hanged Man, the Unnamed, and the Hermit. 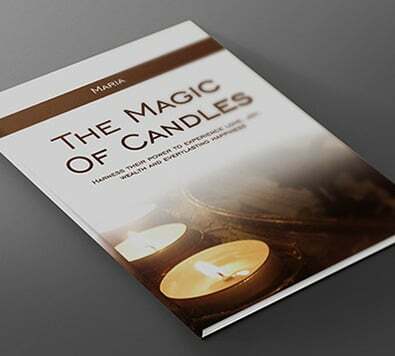 As a psychic reader, I will give you a free detailed interpretation of that Tarot Arcanum. Like many Tarot arcana, you should not draw any conclusion about its true meaning from its name, because drawing this Arcanum is not necessarily a good thing, most notably as regards your feelings! 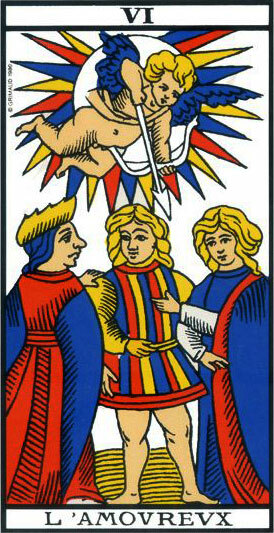 This tarot card is a sign of hesitation, passivity and indecision, like the unrequited lover who sometimes cannot make a decision, hesitating between several options. This Arcanum is a token of incertitude, a challenge where the outcome will not be clear because you will be paralyzed with too many options, without any clear and obvious choice. The Lovers card is not very positive in the material and professional domains, and just average where feelings are concerned. It is a sign of a wait-and-see attitude, of doubt, weakness and fickleness. Anyone who draws it might be overcome with passivity and procrastination when they should act decisively. Someone drawing the Lovers card in a reading will enter a small emotional hell as long as they do not make a decision, one way or another. This could lead to a decision made under duress, which will never be a good thing for them or their family. This could bring some serious consequences for them or their loved ones. Immature people who do not have enough experience in life to know which way to go often draw the Arcanum of the Lovers, hence the potential danger of their advice. This also goes for those who are evolving or are subject to change in every domain. Their decisions will grow wiser in time. Remember that the arcana are neither good not bad per se. They indicate general directions that can end up being positive or negative depending on your own choices. Where the Lovers are concerned, however, you will need to make a choice, one way or another. Waiting will only further complicate matters. What is the meaning of a first and last name with expression number 4? You are my Guardian Angel Maria! Thank to you, I can see a successful life at the end of the tunnel!